Always dreamed of owning a vintage motorcycle? Well, meet the next best thing! 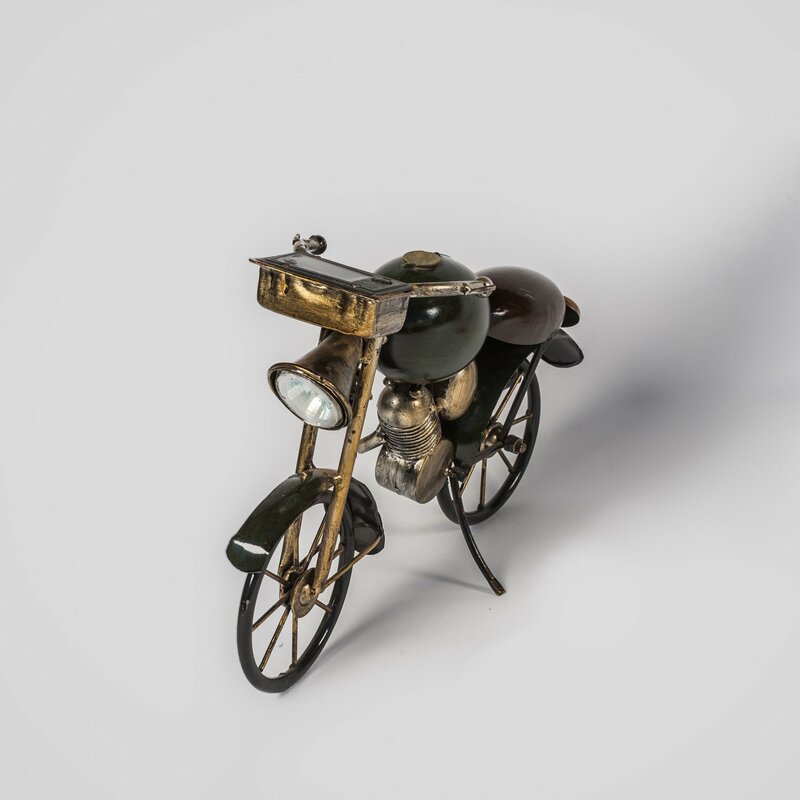 Even though you can't ride this motorcycle metal sculpture, it is sure to get your motor running with its realistic design. Buy one for your home or to give as a gift to someone who loves classic bikes. The Small Touring Bike with Solar Light stands 22.5cm tall and features a dark green tank, brown seat, small stand in place to hold the bike up and a working Solar headlight on the front. Great garden gift!